Welcome To Coral Beach Resort - Official Resort Website. Lowest Rates Guaranteed! Sign up to Receive Exclusive Money Saving Discounts For Your Next Myrtle Beach Vacation! 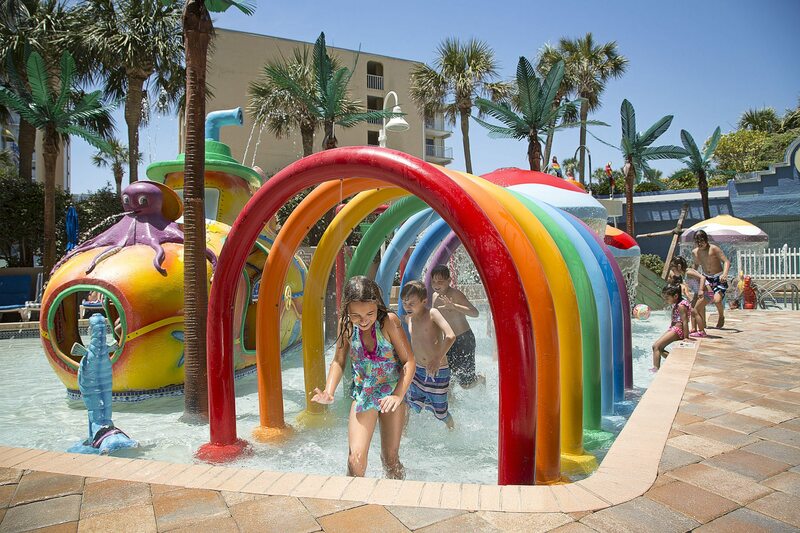 With more on-site amenities and entertainment than any other Myrtle Beach resort, it’s no surprise that the Travel Channel named Coral Beach “Best Family Accommodations“. Families are at the heart of our operation and everything we do here at Coral Beach revolves around providing the most exceptional vacation experience possible. Our entire resort was designed from top to bottom with families in mind, from our generous array of family-sized room layouts to the variety of fun, high-quality amenities located right on the property. Though Myrtle Beach provides plenty of options when it comes to area hotels and resorts, none truly accommodate the needs of the modern family quite like Coral Beach. Start your vacation by visiting our most popular attraction – the beach! Our convenient oceanfront location along the popular south end of Myrtle Beach allows easy access to the salt and the sand. The beach is literally steps away from your room. Plus, you can enjoy an array of amazing views from our guest room balconies. Guests are also invited to take advantage of all of the great amenities offered on-site at Coral Beach. Soak up the sun on our expansive pool deck while the little ones splash the day away at our on-site waterpark or enjoy an evening of bowling and games at our recently revamped Entertainment Zone. And, you won’t even have to leave the resort to refuel, as we proudly offer four unique dining options on site, making it easy to find a fast and affordable family meal. A trip to Coral Beach Resort isn’t just another vacation at another hotel; it’s your gateway to creating memories that will last a lifetime… at a family resort designed specifically for experiencing fun and relaxation! What are you waiting for? Your beach adventure awaits at Coral Beach Resort! Coral Beach Resort boasts unbelievable pools and water fun for everyone! A lazy river, indoor and outdoor Jacuzzis, indoor and outdoor pools and spas. We even have a children’s water park with a submarine & shipwreck and other fun water features designed especially for kids who love water! Coral Beach Resort has it all! 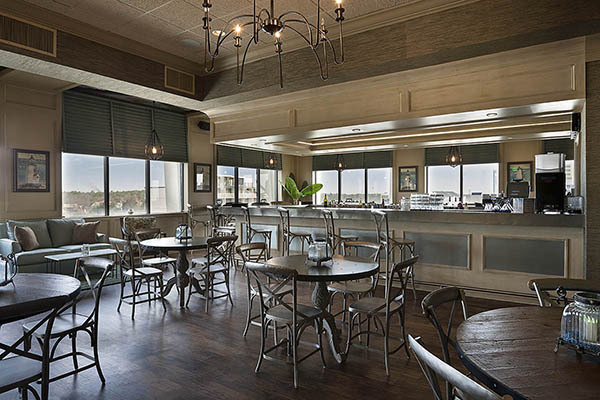 Sit down for a quick bite, grab a snack, relax by the pool bar, or chill in the indoor comfort of our new Oceans 6 Bar & Lounge. Our Entertainment Zone also features a snack bar and grill, ice cream shop and beverages for all ages. We’ve got more on-site amenities and activities than any other resort in Myrtle Beach! In addition to all of our water features, guests can stay connected with our complimentary business center, visit our convenience store and gift shop, or work out in our complimentary fitness room. Beautiful establishment with many convenient amenities. Friendly work staff and clean rooms and building itself. The pools and deck areas were spacious and many activities for kids including a Lazy River, child water play area, not to mention a bowling alley! Will DEFINITELY stay here from now on!Clint R.
Upon arrival, the staff was very friendly and helpful. Our king oceanfront room was very clean and spacious. The pools/hot tub/lazy river/poolside bar were all in excellent shape. The beach front was very convenient and excellent. The staff was very attentive to make sure our stay was a good one.Jeff C.
The staff was ``cruise ship friendly`` and took care of any needs very quickly. The common areas were kept extremely clean and staff were always visible. Loved the sundeck and there were lots of pool options for kids. Parking was very convenient. Would highly recommend if you're looking for a place to stay near downtown Myrtle Beach.Susan M.
We had a blast! The resort was very clean and staff was very nice. We highly recommend staying here!! !Lisa C.
We take pride in our property. That’s why we’re the proud recipient of the 2018 TripAdvisor Certificate of Excellence. Plus, we’ve been recognized by the TripAdvisor Hall of Fame for achieving excellence for FIVE consecutive years! See for yourself and book today. Did you know that Coral Beach Resort was a Three Diamond Property? Click here to learn more about what the AAA Diamond ratings represent. With multiple incentives to take advantage of, Coral Beach Resort offers up luxury at low prices. Earn free nights with our Free Stays and Low Price Guarantee program, OR save up to 35% by booking early through our Early Book Savings Program! Book today and see why we say “100% Satisfaction Guaranteed“.